Organizer for teachers of musical instrument. 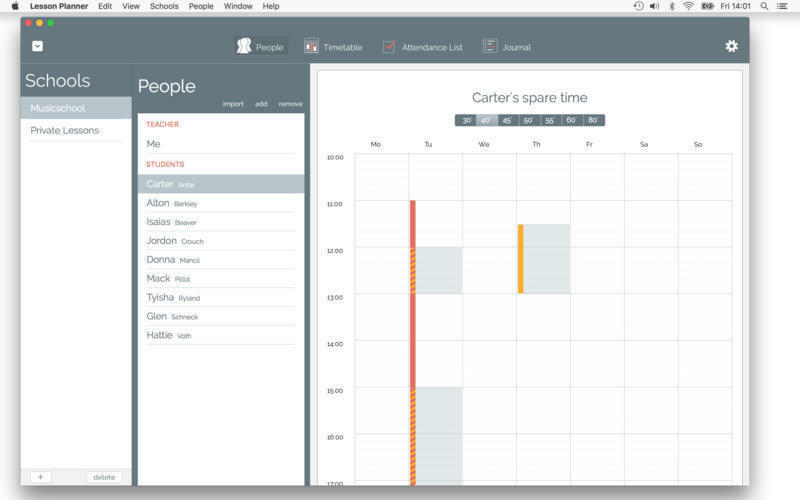 Is there a better alternative to Lesson Planner? Is Lesson Planner really the best app in Teaching Tools category? Will Lesson Planner work good on macOS 10.13.4? Lesson Planner is the organizer for teachers of musical instruments and teachers in on-to-one lessons. 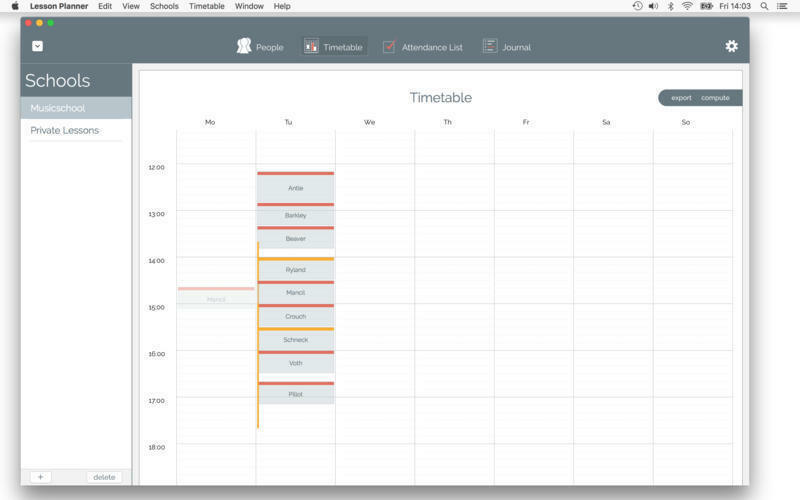 Enter the students' spare time and make Lesson Planner generate the timetable for you! Choose the best of the suggested timetables and change it according to your needs. 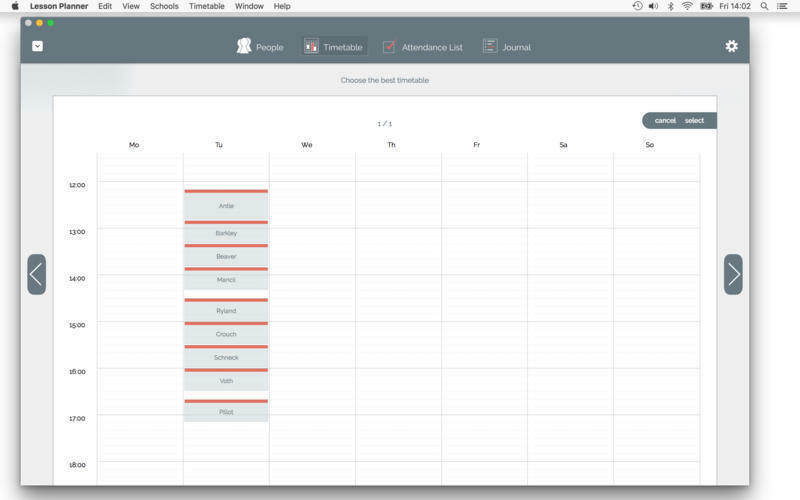 Export the timetable into your calendar. 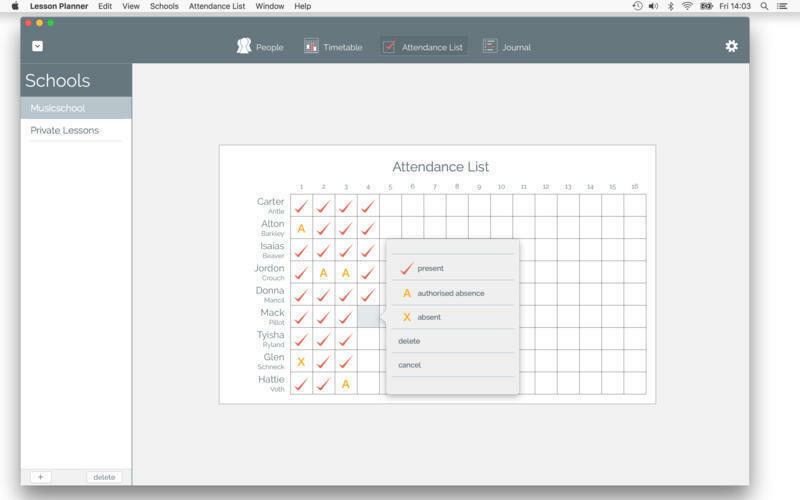 Keep an overview of the attendance of your students with the integrated list of attendance. 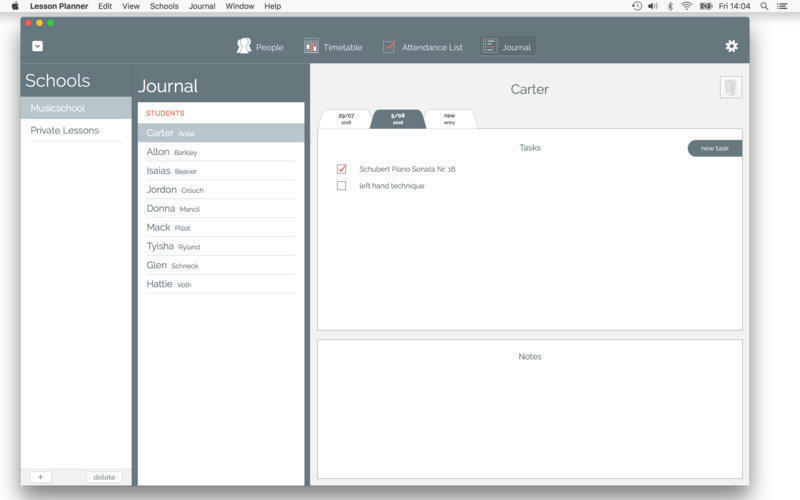 Easy checking of tasks and their completion in the journal. [Fixed] Scrolling in the journal view works again. Lesson Planner needs a review. Be the first to review this app and get the discussion started! Lesson Planner needs a rating. Be the first to rate this app and get the discussion started!